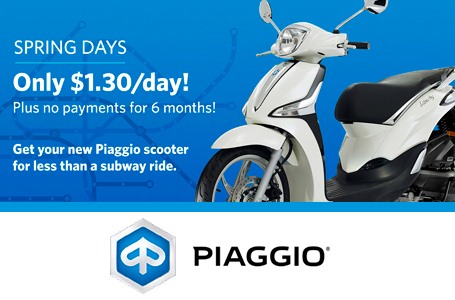 Get up to 144 mpg and reach speeds up to 40 mph on the Piaggio Typhoon 50. A dynamic and solid vehicle with a four stroke - four valve engine, the Typhoon 50 delivers impressive performance with an extraordinary 144 mpg and a 1.8 gallon tank (the largest fuel tank in its class). 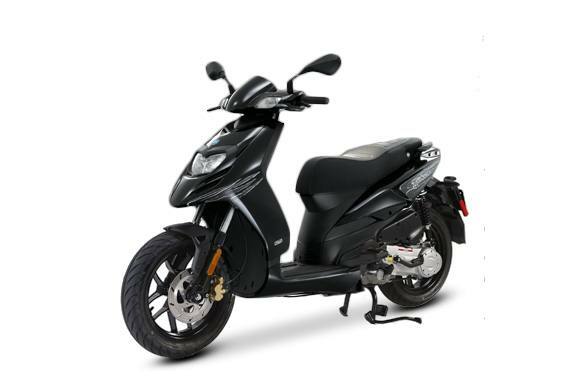 Easy to ride thanks to its compact size and flat footrest, you’ll be styling with the simple and sleek Italian design of the Typhoon 50. Front Tire: Light Alloy, Tubeless, 120/70 14 in. Rear Tire: Light Alloy,Tubeless, 120/70 14 in. Light Alloy, Tubeless, 120/70 14 in. Light Alloy,Tubeless, 120/70 14 in.